Help spread the love at Super Bicycle and meet other amazing volunteers. 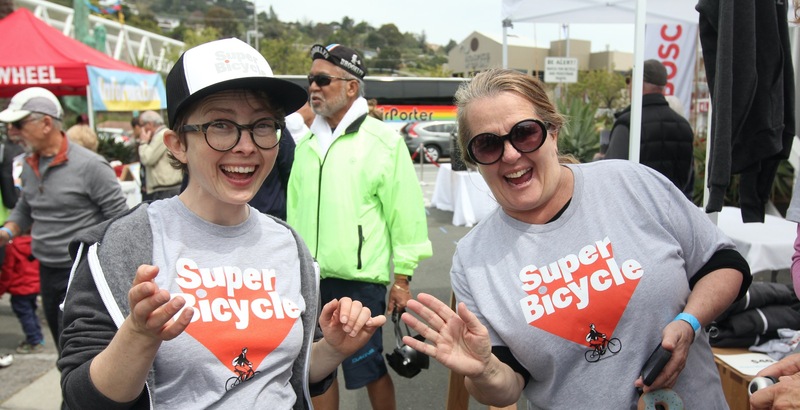 Volunteers get instant VIP status at Super Bicycle, treated to complimentary meals during the event plus a special gift. Volunteer shifts are 3 hours in length and may include helping with registration, food prep, guest services and more. Let us know what shift(s) below work with your schedule. Please select all that work for your schedule, and we will be in touch with you 2 weeks before the event to confirm. Don't forget to register for the event at www.superbicycle.org. Please let us know if there's anything we should know when selecting a role for you at Super Bicycle.